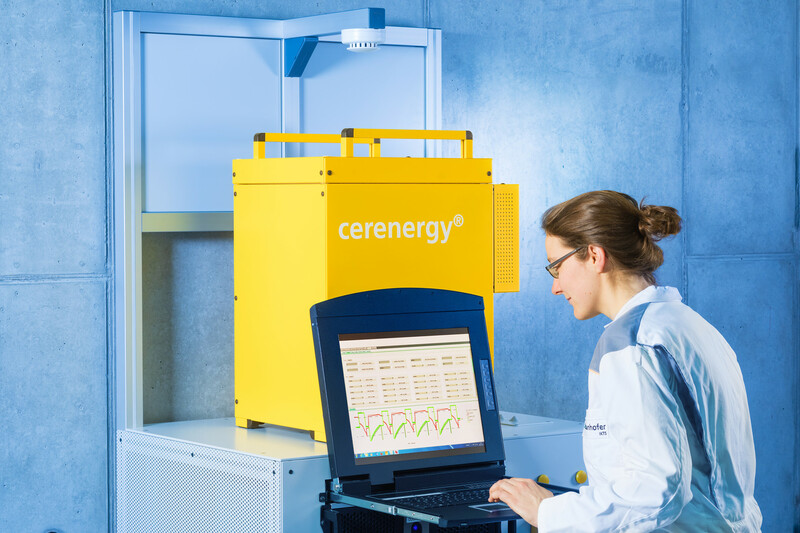 Düsseldorf (renewablepress) - At ENERGY STORAGE EUROPE 2019, the Fraunhofer Institute for Ceramic Technologies and Systems IKTS will present its newly developed ceramic high-temperature battery "cerenergy" for stationary battery storage. With costs of less than 100 Euro/kWh, the price at cell level is around half the price level of Li-ion batteries. The cerenergy solution thus holds the world record for sodium nickel chloride battery cells and is maintenance-free and absolutely safe. The Fraunhofer IKTS booth can be found in Hall 8b under booth number B44. "The fact that Fraunhofer IKTS presents its ceramic battery here is an example of the particular strengths of ENERGY STORAGE EUROPE and the parallel International Renewable Energy Storage Conference as well as the ENERGY STORAGE EUROPE Conference. No other event in the storage industry offers a similar range of technologies and top-class players from research, development and industry," says Bastian Mingers, Head of ENERGY STORAGE EUROPE. In Düsseldorf, IKTS will present, among other things, a ready-made 5 kWh battery with 20 battery cells, whose capacity of 250 Wh is the world leader. The module shown will be ready for production in the coming months. Although the operating temperature of the cerenergy battery solution is 300 °C, its operation is efficient and economical thanks to vacuum insulation. Unlike Li-ion batteries, air conditioning is not necessary even under extreme ambient conditions. The overall efficiency is over 90 percent. The energy density of 130 Wh/kg and charge and discharge rates of 0.25 to 0.75 C make the batteries predestined for stationary use. "The sodium nickel chloride battery is essentially based on common salt - there is hardly a cheaper and more readily available raw material. And we also completely dispense with rare earths or other strategic raw materials. The battery principle has been known since the 1990s, but it is only recently that we have succeeded in really tailoring the technology for use in stationary storage systems," says Dr. Roland Weidl, head of department at Fraunhofer IKTS. "ENERGY STORAGE EUROPE offers our team an ideal platform to talk to potential customers about the use of cerenergy technology," adds Weidl. ENERGY STORAGE EUROPE is the trade fair for the global energy storage industry with a focus on applications and energy systems. The parallel international conferences offer the world's largest conference program for all energy storage technologies. They include the 8th ENERGY STORAGE EUROPE Conference (ESE) of Messe Düsseldorf and the 13th International Renewable Energy Storage Conference (IRES) of EUROSOLAR e.V. The main topics are economics and finance (ESE) as well as science and social policy (IRES). In 2018, the fair grew to around 4,500 visitors from 61 countries. 170 exhibitors presented themselves.